Use your communication skills to help a nonprofit accomplish its goals! It’s one of the best ways you can use your talents to directly impact your community. Gift of Communication is an important way IABC Minnesota connects with the larger community, helps others in need, and grows our reputation as a professional organization. 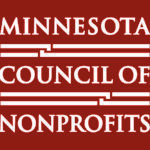 IABC Minnesota volunteers have helped close to 60 nonprofits since 2013. After registration, you will have an opportunity to rank your preference of which nonprofit you would prefer to work with. Before the event, you will be paired with a nonprofit and another communicator or two and spend the afternoon helping them craft communication strategies and tactics for their biggest communication challenges. New for 2019 – we will have a speaker along with lunch. Watch for details about a post-event happy hour.